So what do these statistics say? In short, they say that your employees are stealing your intellectual property. 68 percent of employees say their organization doesn’t take preventative measures to ensure employees don’t use competitive information. So what do these statistics say? Well, they say that neither your former employees nor their new employers think there’s anything wrong with stealing and using your intellectual property. These statistics don’t surprise me at all. 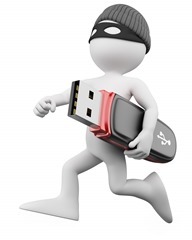 Theft of confidential information by departing employees is an epidemic. In my experience, it is one of the biggest challenges faced by employers today. Perhaps the single biggest. Have a policy. Employers should have a confidentiality policy that all employees are required to sign-separate from the employee manual is preferable. Educate employees. Once is not enough. Employees should be required to re-sign the policy each year. Yes, really. This is a very serious problem and there is no such thing as being too proactive to prevent it. Use technology. Employees walk away with your data in any number of ways but almost always in a way that involves technology, so put technology to work for you. For example, consider utilizing software that alerts IT any time an employee sends a large number of attachments via email. Limit access to Dropbox and similar cloud-storage sites from work devices. Ask the tough questions. Even if you’ve done nothing to limit electronic theft beforehand, there’s no time like the present. Ask every departing employee to confirm in writing that he is not in possession of any company property (including in electronic form) and promise that, should he later discover that he does have your property, that he will return it immediately. Computer Fraud and Abuse Act: Government to the Rescue of Employers?